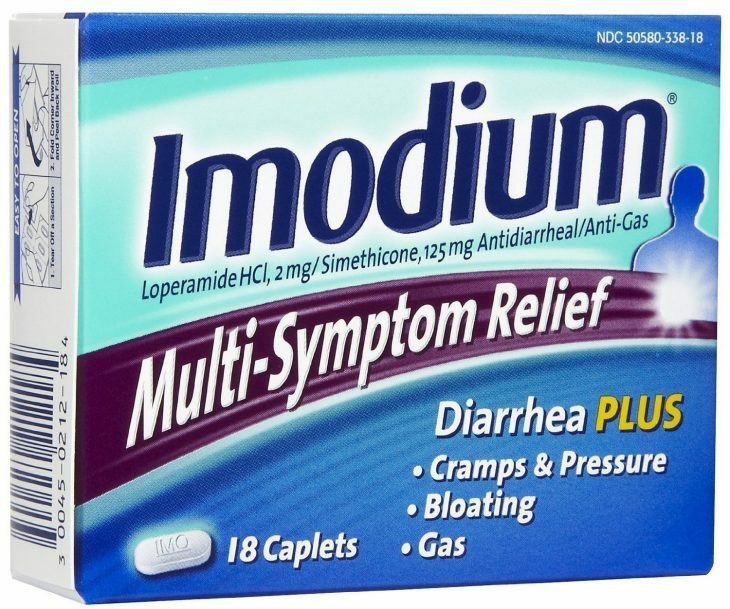 Available over-the-counter in the form of Imodium AD, loperamide is a medication used by many people, to help ease the symptoms of opiate withdrawal. While this easy-to-find substance does not mimic the effects of an opiate addiction, like many of the other treatment medications do, but does provide relief for symptoms. People have been using loperamide for opiate withdrawal for a long time, with plenty of success. How Does Loperamide Help With Opiate Withdrawal? If loperamide doesn’t mimic the effects of an opiate drug, how does it help reduce the intensity of the symptoms? One of the most painful, and embarrassing symptoms of opiate withdrawal, is diarrhea and stomach cramping. The way in which loperamide helps the situation, is by slowing down digestion and the movement of waste through your intestines, ultimately preventing diarrhea, and weakening the pain from the stomach cramps. 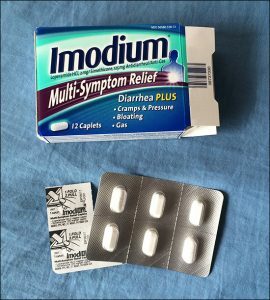 A little known fact about imodium is that it used to be a schedule-4 drug and it does actually work on your opiate receptors (in your intestines though, not your brain) – so it can indeed be used to actually stop withdrawals. Many people have been using imodium for opiate withdrawal for a while, but people credited it’s success to the fact that it stops diarrhea so well; completely forgetting that it actually takes away the withdrawal from opiates. Because Imodium is regularly available from any pharmacy for just a few dollars, people have been turning to loperamide for opiate withdrawal for a long time, and because of it’s low-risk way of dealing with opiate withdrawal, it is one of the most popular methods used by recovering opiate addicts. The process of taking loperamide for opiate withdrawal is simple, but it can be easy to not take enough. Because Imodium is not made specifically for relieving opiate withdrawal symptoms, the directions on the box are pretty much useless. Instead, you should take into consideration your own biological uniqueness, and start small, and build your way up. The signs of effectiveness are easy to spot, so if you start of small, with around 16 mg to 20mg per day, you can gauge whether or not that will be enough for you, depending on how much of an effect it has on your digestion. However, it has been reported that doses as high as 60 mg can lead to nausea and vomiting, similar to a high dose of heroin or percocets. Remember, loperamide does actually mimic opiates in the body, so you can expect relief from restless legs, anxiety, diarrhea, nausea, etc. Just be careful not to dose to high or you can prolong your detox. While Imodium is considered a safe drug for regular consumption, it is worth noting that the average Joe who is not suffering from opiate withdrawal symptoms will not be taking as much as you. It has been widely noted that loperamide, in high doses can be addictive, so keep a close eye on your consumption. It is recommended that you take loperamide for opiate withdrawal for no longer than 3 to 4 days, and up to 7 days maximum in rare case scenarios. Hydration is crucial when taking loperamide for opiate withdrawal, so make sure you are drinking plenty of water, or if possible, Gatorade. You WILL be constipated while taking Imodium, so drink as much fluids as possible and increase your fiber amounts. Something people need to know about imodium is that it has an extremely long half life (longer than most opiates – similar to methadone), so if you take a large amount of imodium for opiate withdrawals and stop abruptly, YOU WILL WITHDRAWAL. Withdrawals from imodium are real and they are terrible! Loperamide is available over the counter, under the name Imodium AD. The vast majority of pharmacies will carry Imodium AD, and it is very cost effective. However, the small price tag is not an excuse to take as much as you want. Loperamide is still a drug, and when taken in large amounts, it can be addictive, so always keep the aforementioned safety precautions in mind. It’s important that Loperamide withdrawal is a very real condition. I experienced first hand the inability to get off of loperamide after taking a surplus to try to taper from heroin addiction. If you decide to use the imodium taper, make sure you talk with a doctor first and consider other options. One of the best ways to soothe the withdrawals from prolonged use of opiates is by taking CalmSupport, which is a natural remedy to combat opiate withdrawal symptoms. You can find it online by clicking here.